Other than the incredible Parthenon, the Temple of Olympian Zeus (Naos tou Olympiou Dios), also known as the Olympieion, stands out as one of the iconic historical legacies of ancient Athens. And now the good news for history enthusiasts is that the impressive monument is all set to undergo a complete refurbishment, followed by a comprehensive restoration. The ambitious restitution project was recently green-signaled by the Greece’s Central Archaeological Council. The monument has several structural restoration problems. There had been no progress on the issue until now because it had to be inducted into some sort of National Strategic Reference Framework (NSRF) programme. But making the case of being “answerable to history”, Banou pointed out how the task at hand amounted to an urgent approach, considering the degree of wear on the existing columns of the once massive temple complex. 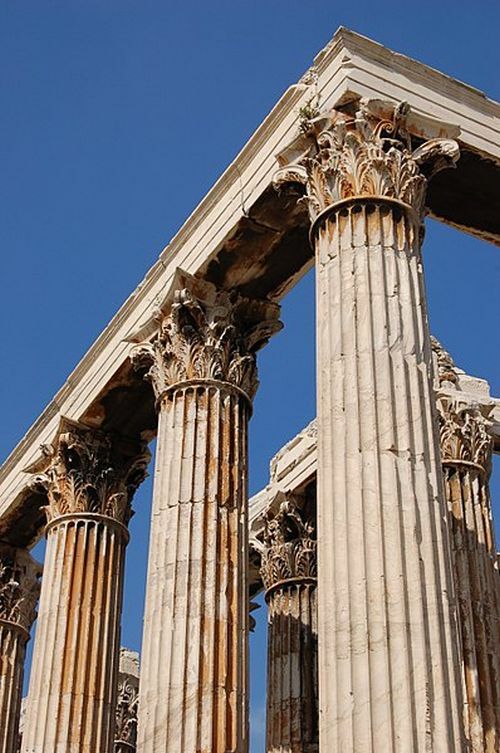 According to her, the ruins of the Temple of Olympian Zeus already suffered greatly during the prelude to the Greek Civil War (1946 – 49), so much so that some of the indomitable Corinthian columns still bear marks of bullets. And before this shameful episode, the main structural damage was initiated during the Byzantine (Eastern Roman) era when many of the marble segments of the 104 original pillars were crushed to make high-grade lime or directly looted as building materials. 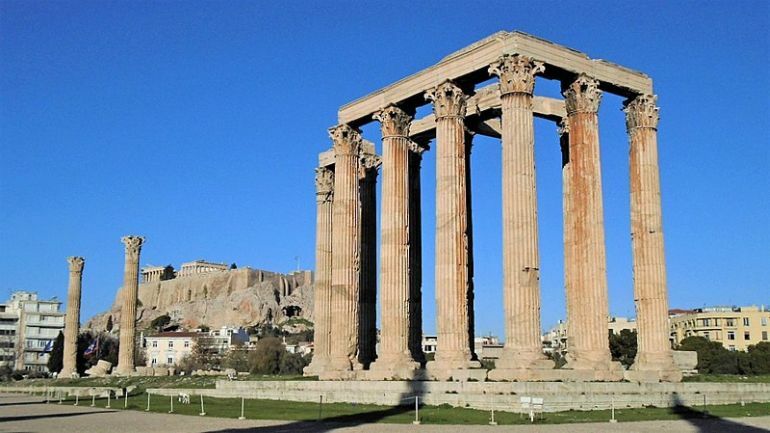 Now since we brought up history, the Temple of Olympian Zeus was originally envisaged by its builders, the Athenians tyrants of 6th century BC, to be the greatest of all Greek temples. It was planned to surpass even the Temple of Artemis at Ephesus – considered as one of the ancient Seven Wonders of the world. Consequently, the initial work on the massive complex suggested such an ambitious scope, with the core platform alone boasting an area of 354 ft by 135 ft, almost equivalent to the size of an American football field. However, the construction was stopped when the Athenian tyranny was overthrown, with Hippias being expelled in 510 BC (which in turn started a chain of events leading up to the Battle of Marathon). The building project was once again kick-started by the Seleucid king Antiochus IV Epiphanes in circa 174 BC. But it came to a halt upon the Greek monarch’s death only a decade later. During Roman general Sulla’s sack of Athens in 86 BC, many of the incompleted sections were infamously taken back to Rome, to ironically fuel the construction of the Temple of Jupiter on the Capitoline Hill. And it was only in 2nd century AD that the Temple of Olympian Zeus was finally completed (after 638 years since the endeavor started), under the patronage of Roman Emperor Hadrian. According to ancient sources, the main temple cella flaunted an enormous statue of Zeus himself, made of chryselephantine (gold and ivory), and it was accompanied on the rear side (outside the building) by a colossal sculpture of Hadrian himself. Unfortunately, in spite of the vivid history of the Temple of Olympian Zeus, only 16 columns have survived in our modern times. To that end, the first order of business for the restoration process would entail the reinforcement of these Corinthian-style specimens that would ensure their structural stability. And lastly, this preliminary step would be followed by the maintenance of the existing marble segments.